This is the view from the front porch. We called it the Plan of May fourteenth because that was the day everything changed for us. As a newly married couple we discovered that we shared many of the same dreams. One shared hope was to live somewhere in the country away from subdivisions with snoopy neighbors, petty theft and a continuous barrage of Mariachi music. Understandably, our neighbors didn't appreciate our noisy race car engine when we came home from the track after midnight and drove the car into the garage. We couldn't really blame them. The feeling was mutual. We had no affection for their choice of boom box music or loud thumping bass either. Our solution was to find some acreage and build a house. 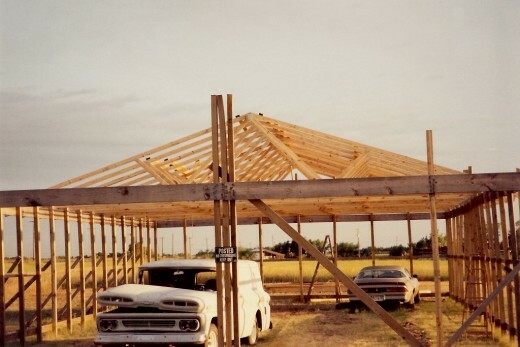 Our plan began to solidify after we met some new friends at the Texas Motorplex, who actually built their own house. 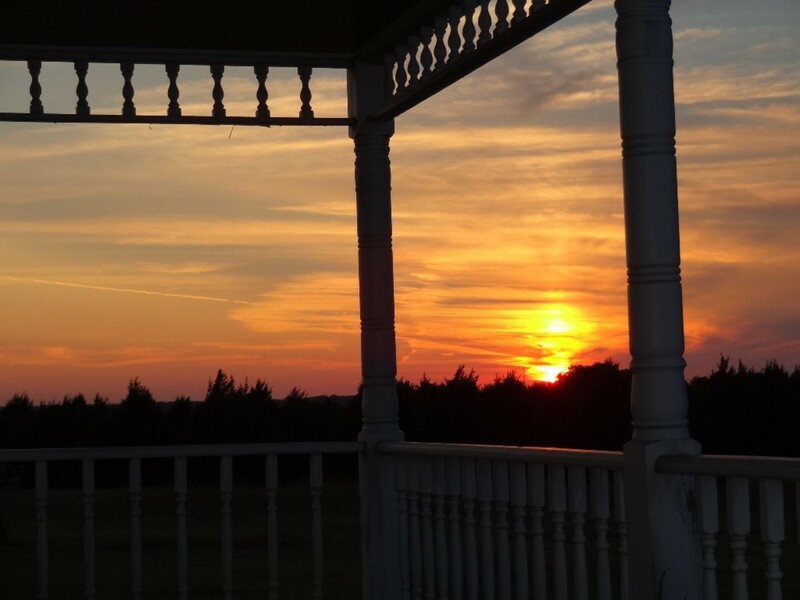 They invited us out for a barbecue where we shared the amazing Texas sunset over the lake. As night slowly crept in and darkness transformed the sky into a carpet of glittering stars, we decided this was the life for us. Helping them build their garage gave us the confidence and inspiration to begin work on a place of our own. We immediately started looking for a parcel of land in the area. 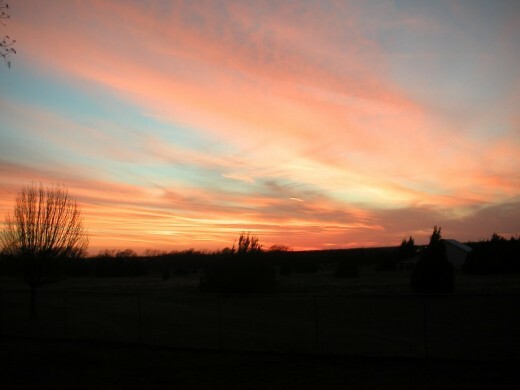 The view of the sunrise and sunset was one of the deciding factors to buy the land. We spent a few weeks searching before we found a ten acre plot that overlooked the lake. 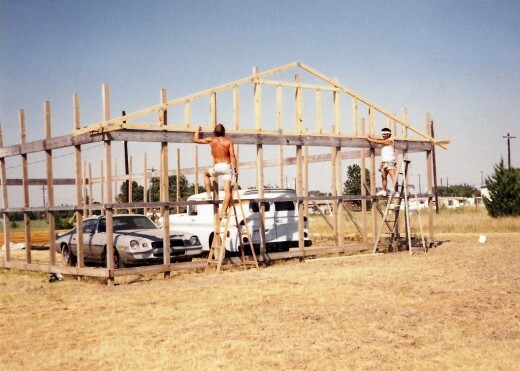 We decided to build a pole barn first and live in that while we constructed the house. On Saturday mornings we'd head out early to Home Depot and buy as much lumber and materials as we could afford in cash. Then we'd stop and fill up our cooler with ice, sodas and snacks and stop for breakfast at Molly's Barn before our day of labor in the hot sun. Help from the neighbors brought back times of old when raising a barn involved the community. Having a place to get in the shade was essential in surviving the blistering sun of the Texas summer. We made our own shade using tent poles, a flat bed trailer and a large plastic tarp. Drinking lots of fluids and hosing down with a pressurized garden sprayer filled with water kept us cool. After a long day of work, we’d make the drive home to our house in the city, put away our tools and talk about the day's progress. We had little trouble falling asleep after a day of manual labor. Using an auger to drill three foot holes in the ground for footings. Setting the poles for the barn made it clear what a monumental job we were undertaking. We rented a two-man auger and tried to drill three foot deep holes. The sixteen foot four-by-fours needed to be set in concrete to support the structure. I lasted about three holes before we asked our friends for help. 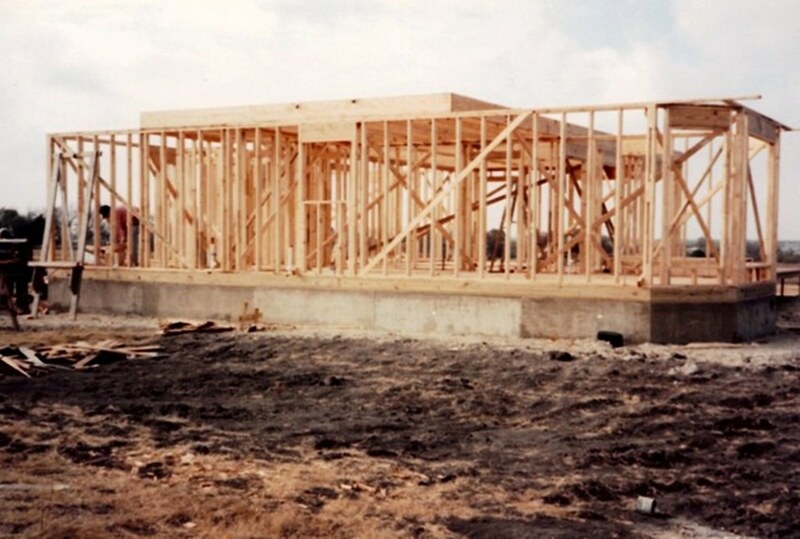 It would take a long time to make any progress working only weekends so we decided to hire a contractor to build the house. He agreed to construct the exterior and leave the inside work for us to finish out. Six months later, the basic structure was erected on pier and beams. 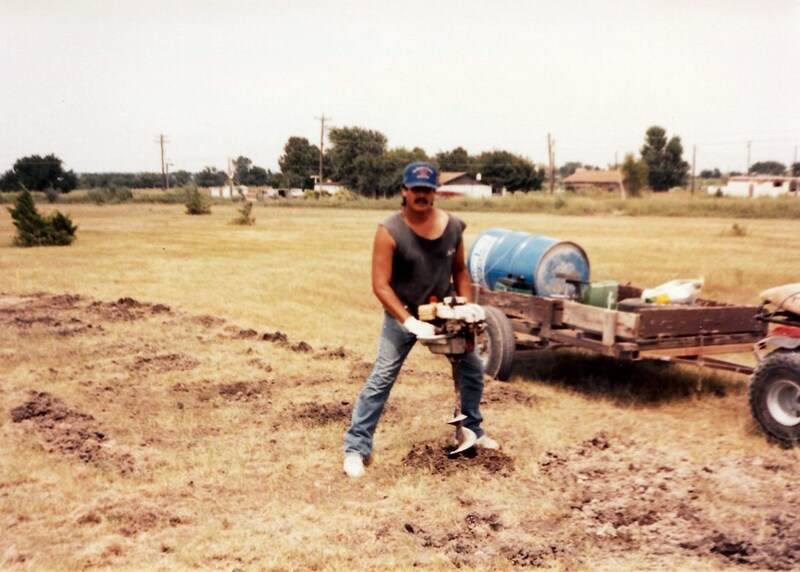 They also finished out the sub-floor plumbing and septic tank with the field. Wafer board closed in the building until we could afford permanent siding. The project gave my husband reason to buy lots of tools like a drill, a power painter, circular saw, an auger, shovels, ladders, and a sledge hammer we named Thor. Each job seemed to require another tool. Once the shell was constructed, we began to finish out the interior. We still needed to run the electrical wiring, install the above ground plumbing, hang doors and staple insulation and install the sheet rock before we could finish out the walls. 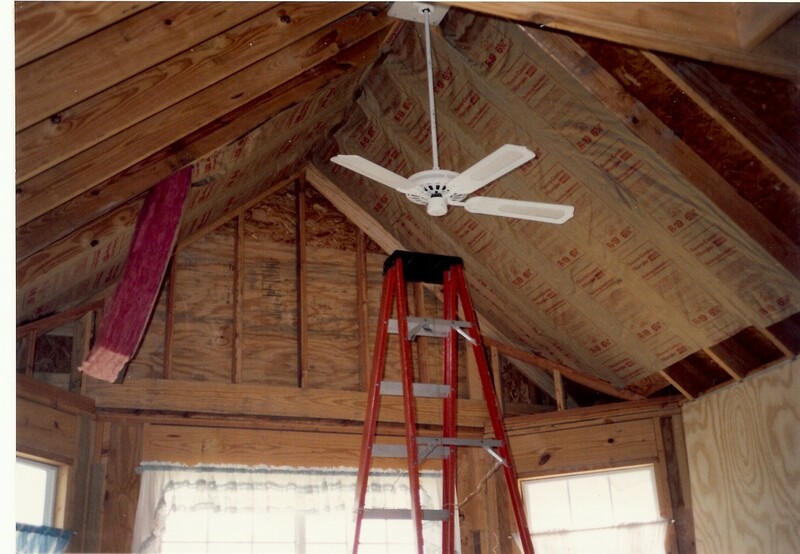 One of my jobs was to staple insulation between the studs of the interior and exterior walls. Before we could insulate we had to run the electrical wiring. This had to be finished before we could put up the drywall. Every job seemed to require something else before it could be done. Our family soon expanded with a stray dog that started hanging around as we worked. It was clear she was a stray. She was obviously malnourished and full of parasites. She would be the first of many who found their way to our front door over the years. The first week after the exterior was finished, a stray dog showed up, quickly becoming a new family member. On the Memorial Day holiday three day weekend, we rented a U-Haul truck and began moving out of the city into our unfinished shell of a house. Late in the day on Monday, we made the final trip with the last of our furniture and two very anxious dogs. It was exciting to finally be living in our new house. Our newest family member, Lady, quickly learned to hang out in the kitchen. On the first day of January we installed the door locks and started on the interior studs for the walls. Extension cords snaked through the house from the temporary power pole to provide electricity until we could run the permanent wiring. Our priority was to get a working bathroom with a toilet and sink. Inside the house was frigid with no heat or insulation from temperatures in the teens. We could see our own breath as we worked. We ran the electrical wiring, stapled in the insulation, hung drywall, installed toilets, sinks and bathtubs and hung interior doors. We spent our first night on the hide-away couch in the living room, too tired to set up our bed. The next day, it was business as usual, back to work and we made our first commute into the city to our regular eight to five office jobs. 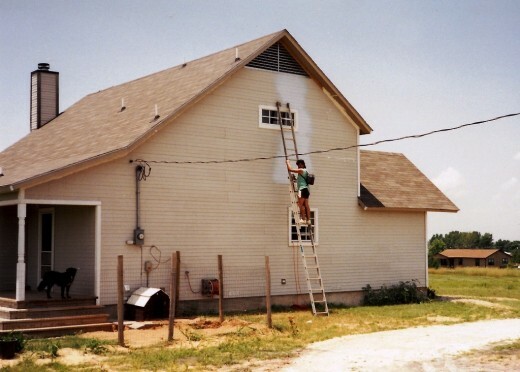 It took a lot of courage to climb the tall ladder and paint the exterior. It's hard to pick a color from a small paint chip on the store swatches. We ended up with a bright blue paint that made it look like we lived in Smurf town. It would be fourteen years before we changed the color of the exterior. We chose a blue exterior paint that lasted for the first fourteen years. That first winter in the house was the hardest. 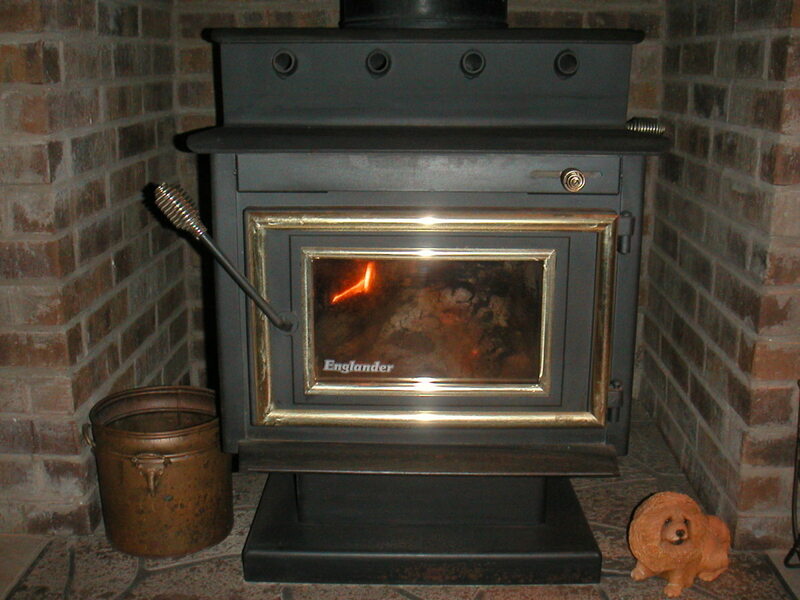 We had a wood burning stove but no central heat. We sealed off the second story with our well-worn tarps and slept in the living room with the three dogs and a couple of space heaters. The dog's water froze into a solid block of ice in the kitchen. We put our groceries in the refrigerator to keep them from freezing. For the first year, we cooked in a microwave oven, on an electric frying pan and a hot plate before we could buy a new stove. Our used refrigerator lasted for ten years then had to be replaced. Through the years, we've developed new skills, strong muscles and a keen appreciation for the peace and quiet we continue to enjoy in the country. We've lived out here for the past twenty-seven years and remain eternally grateful for our good fortune. It's a dream come true. After twenty-seven years of living in the country we still love it. 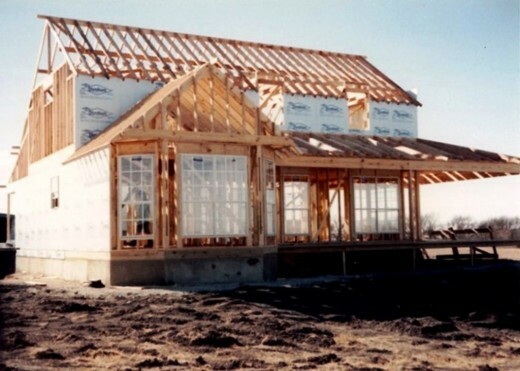 Have you ever dreamed of building your own house? We built our own house. Which is Better Living: In The Countryside in the Country or In The City? Hi Mike, I'm always glad to see you stop by here. Thankfully, we had a lot of help on the house, from friends who were good at tiling, to others from whom we bartered services. It has been a long journey but we are still glad to be out here in the house even with the remaining unfinished projects. Too bad about poor scrappy, the tree that is now mulch. You're right. He would have made a nice walking stick. This is one of my favorite stories. If we all spent more time building our own house, the whole of our national community would be better off for it. My hat is off to you and J. And 'Scrappy' might make a nice walking stick! Hi Maria, No worries about J. He was only kidding about poor Scrappy, the underachieving oak tree. He has always fussed about the two little trees I planted in the middle of the driveway, claiming they were in the way of all his toys in the garage. The remaining oak sapling now has room to grow into a giant oak. Thanks for the return visit and for the kind words about inspiration. Thanks, Jo. 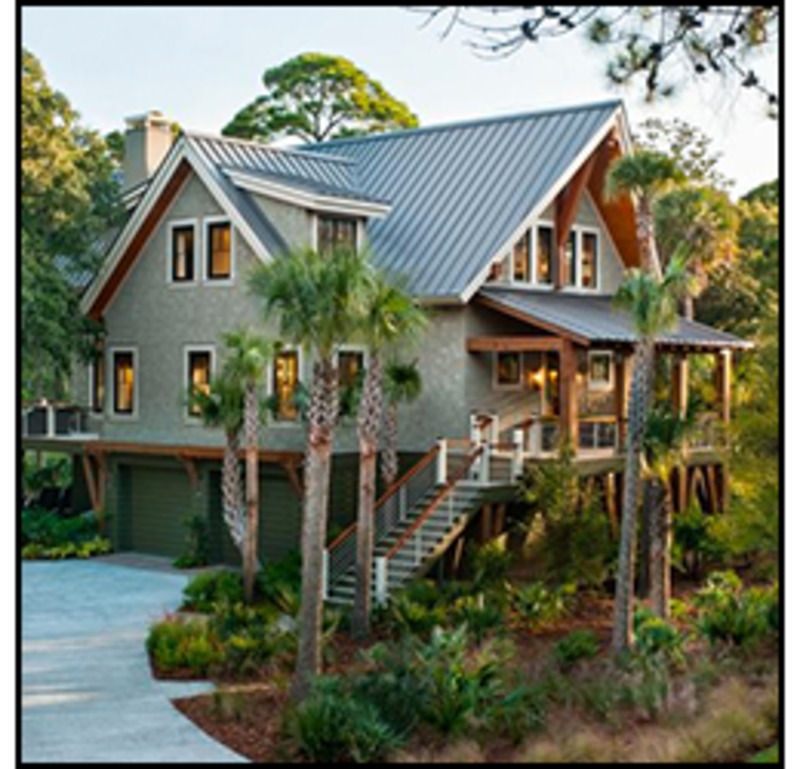 I hope one day you'll be able to build your dream home and put your creative talent to work in its design. Yes, we learned that some things were just too involved to do ourselves, and required heavy equipment, like drilling the piers ten feet into the ground for the foundation. Some of it was a lot of fun and a great way to keep active. Thanks for stopping by. This is so awesome to read! We bought a home 6 years ago that was move in ready. I dream of one day building the kind of structure I really want with plenty of space, and sliding glass doors. The ability to really use my creativity. I am so glad you have shared this and you did so brilliantly with the step by step instructions, matching photos. Hello Breathing, My hopes are that one day you will fulfill your dream and begin your own project to build a home. It is tough to get financing. Saving money is also hard to do. I did not know it was so difficult to get a house loan in your country. I wish you all the best. 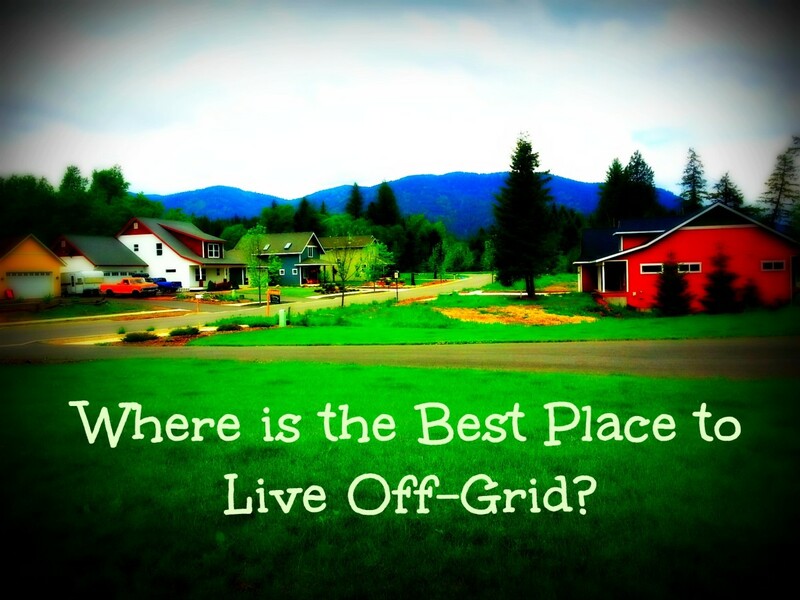 At the very end of your hub you have asked a question that, “Have you ever dreamed of building your own house?” This question encouraged me to share my dream here with you again. I want to build a very small beautiful house. It will also be a Two-story house like this. I have designed the view and outlook beauty of that dreamed house and cherished that from a long time in my mind. But lack of a suitable place and insufficient money it not come in real yet. You know in our country get house loan not an easy story. That’s why I am searching a better job to earn lot of money and fulfill my dream. Thank you a lot for sharing a great things with us. Working together can overcome any obstacle, it proved again by those people who build this beautiful house. Hi Moonlake, Wow. That is great that you can relate to this adventure. 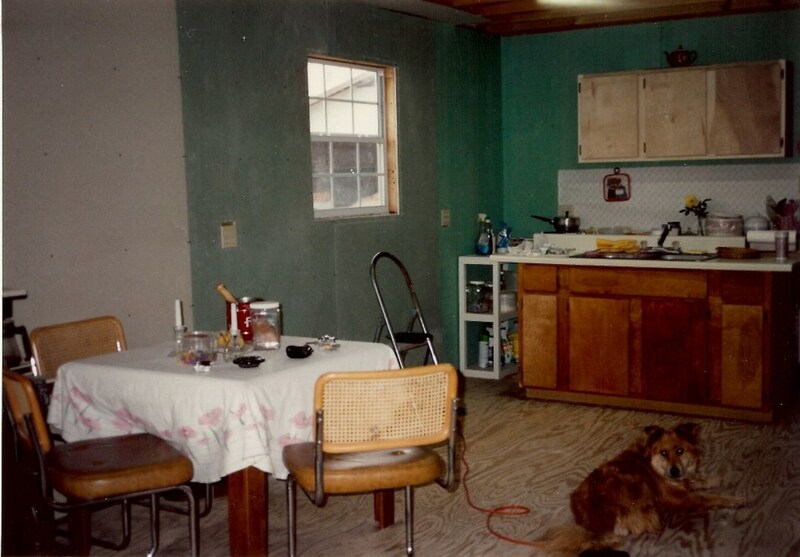 I remember many Christmases with sheetrock piled around and unfinished walls with insulation showing. It was a true joy to see the drywall finished. Sorry you had to sell the house. I can understand, as our taxes have more than quadrupled in the nearly three decades we've lived out here. Beautiful house. Love the story about the dog. We built our own house on the lake. 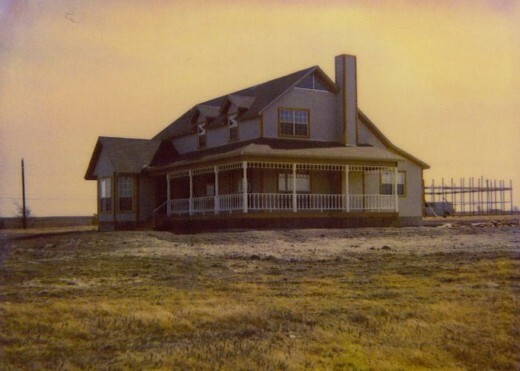 I remember the days of living in it with unfinished walls and sheetrock piled on the floor. We still put up a Christmas tree even with so much unfinished. We did everything in the house with help from family and friends. The basement and kitchen cabinets were the only things we didn't do ourselves. Loved the place, but sold it lake property taxes got too expensive. Hello Michael-Milec. Your thoughtful response to this article is heartwarming and a success story in itself. Thank you for taking the time to let me know you read this story and for the kind words about the message. I hope you will write out your story here on HubPages and inspire others with your own dream that was fulfilled. Thanks again for your heartfelt message. It was so nice to have you visit here. More then an inspiration , your adventure is a message to the rest of the world: "When Peg and her husband can do it, you can do it too." Thank goodness for God given friends in your life igniting the desire to realize your dream to own self-build home. Following your step by step progress, not only made my heart happy for you, but has revived memory of my own venture in construction. Painful hard work as in details you are sharing , has became my joy of living as I discontinued my 'intellectual' position after several years arrival to this country and started with pushing wheelbarrow filled with crushed-stone in an a basement's hole of a future residential home. Opposite to your ' part-time' learning process, my was 'full time" paid hard-way- painful work of ten years, elevating me to a company owner 'design build homes" with my wife as an architect designer. Nothing exceptional. In this country anyone willing can succeed as you did and many wonderful comments on this page confirmed by their success. If only voting would be possible, I am voting useful, awesome , interesting and beautiful. Thanks, Mike. Your comments always make me take a look, revise text and add a few new photos. I appreciate your kind words. We are glad at this point to be out and away from the city. The recent comments brought me back here. This is such a wonderful story and is huge in my mind. You both did what we all should have done. Hello Jackie, Thank you for taking an interest in our do it yourself project of twenty-five years. Believe it or not, we are still trying to finish up the little details on the house (baseboards, flooring upstairs, pantry build out) and by now, many things need to be replaced (again) like front porch spindles and warped decking. It's a never ending project. We're at the point now that we need to hire the work out due to health issues for my man who can no longer stoop and lift as he used to do. We converted the barn into a huge garage (32 x 64 feet) for my husband's race car and related projects. I don't get to park inside, sadly. 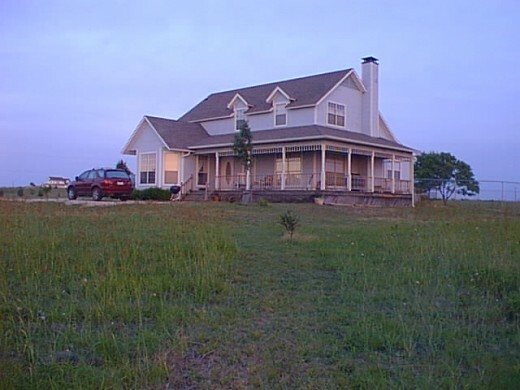 The house itself, we contracted out the exterior shell structure and pier and beam foundation along with below ground plumbing like the septic tank. The interior we did mostly ourselves, insulating, electric wiring, toilets, sinks and a lot of drywall. The best advice I could give anyone who wants to try this is never move into the house until it is complete. It makes the work so much harder to have furniture and stuff in the way of construction. Again, thanks for the kind words and visit. Hope there is more of how you went from barn to house. I would have loved to have done something like that. I had four younger brothers that taught me lots of things like wiring and plumbing etc and it has come in handy but just to start from scratch would be so fulfilling. Guess I am a Little House on the Prairie gal! Thanks for sharing this; loved it. Thank you Prairieprincess, for the visit and the thoughtful comment. We are still in awe of the beauty out here and amazed that we actually live in this place. Peg, what a beautiful home, and a beautiful experience. You must enjoy it so much. Mck, Freshen your cup of coffee? The cinnamon rolls will be out of the oven in a minute. Oh, check out that White Egret flying over. Hi Peg - What a grand front porch and the rain sure puts on a nice show. What a peaceful Sunday. Mike, It's always nice of you to come by for a visit. We'll just sit out on the porch and watch the rain fall. What a welcome turn in the weather we had yesterday, moving out of the hundreds into the eighties with a light rain. Nice. Hi Peg - I must have needed a booster shot of inspiration this evening. And I found it right here. This is such an American story, it has such strength. Hi Martie, Thanks for the inspiration yesterday with your great tile makeover pics on facebook. You got me working on this one and trying to make it more reader friendly. I do hope you'll write your own story. It's important sometimes to step back and remember the things you've accomplished. So nice to see you visit today. Smiling. Kelly my sweet, Thank you so much for this visit. I am honored to see you stop in and read one of my stories. You are a doll. Hope everyone is well at your house. Ingenious idea and very green Becky. I love ideas that reuse material and recycle products. I've never heard of using shipping containers to build a house. It doesn't have to be big as long as you're comfortable. Wonderful story about building your house. I am planning on building one day but have to save up some money first. I was looking at building one with shipping containers. Four shipping containers, in a square with a sun room in half of the open middle and a garden in the other half. Won't be big rooms, but there are not many of us left to live in it. Sleep well dear Rosemay. Sweet dreams. Hmm. That gives me an idea. (Patsy Kline) Sleep tight now. Thanks so much for your visit. It is a big decision for people who were raised in the city to move out this far from everything. We had no idea how quiet and wonderful it would be. That is probably one of the best parts, that and the lovely sky full of stars. And the sunrise. And the wildflowers. And the moon rise . . . It's a big decision to move to the country, we moved out to the sticks 4 years ago and it was the best thing we could have done, we love it here. 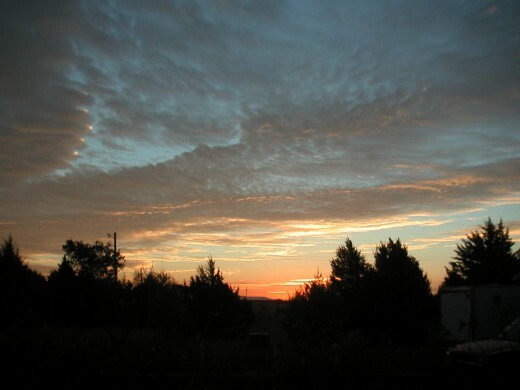 Thank you for the link to my hub, isn't it special to experience the sunrise and sunset every day from home! Rosemay, hello! And thanks for the visit. You bring your tent and come on over. We've been out here for around 23 years now and the sunrise is just as beautiful as ever. I'm still surprised at my good fortune to be living here, everyday. We have some new folks lately who like to play their loud bass music when they drive by. I wish they knew that there are several families with elderly people who nap during the day. But other than that, we are delighted that the open fields have been built up with neighbors who wanted large tracts and even horses. We took a huge chance about the development out here since it is an unincorporated area and no land restrictions. So nice to see you here today and after reading your lovely hub with the music I decided to change out the videos today. See you for coffee? I bet just a single sunrise made up for all those sore thumbs and aching muscles. You are such a sweet lady to take lady into your home too. Room for all. I hope it doesn't get too built up and remains the peaceful haven that you set out to achieve. You try to stop me. Nice to have someone on board with the same sense of humour. Your choice but I have a great recipe for sangria if you'll share some with me. Glo, bring your tent and some hot dog skewers. We'll have a cook out. I've got marshmallows. Good luck in selling your place and keep me posted. So glad to see you publishing more hubs. I could have taken you up on the dog walking thing this week. Has been a non stop round of activity for us and they've been really patient with my absence. Can we pitch a tent over their?? I'll walk the dogs. Great hub Peg what a fantastic house, you must be so proud. It was a lot of hard work though, and like you say it never stops. The dogs love it though. Oh Dim, Constant rain can be so dreary. We first had 100 year floods where even the road into the park and the park restroom building was completely underwater. 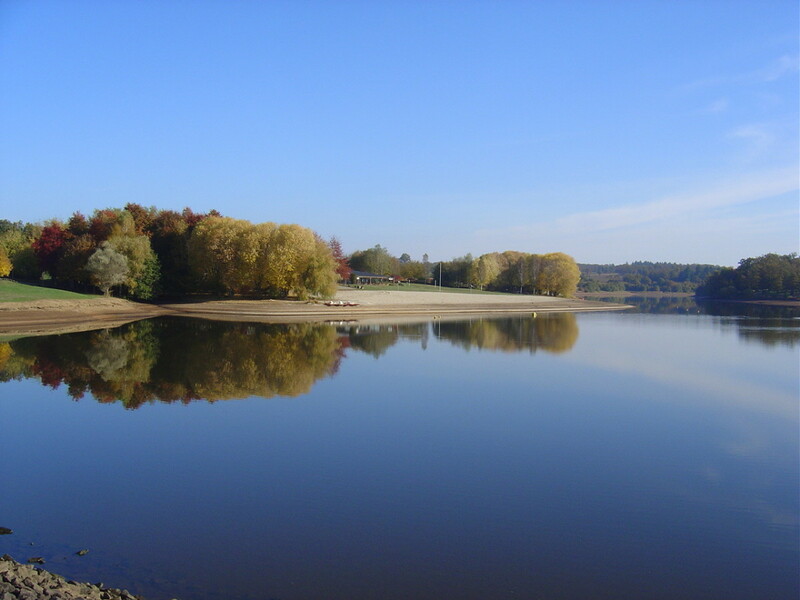 More recently and ongoing, we have the opposite where we are experiencing a major drought. I posted pics of cracks in the ground the width of my shoe. WillStarr, I often wonder if any cowboys and Indians roamed across this patch of land. Or real pioneers with wagons. I love that country living, too. Everyday, I'm still surprised to be out here. Oh What an amazing story of moving from the city..... to THIS!!!!! How wonderful. I wish I felt the same about my own move to the countryside last year. I´m still waiting for it to stop raining. Kinda spoils the effect. I am very happy for you, though and your house looks beautiful. What a fun Hub, and what a great place to live! Give me small town or country! So nice of you to drop by and comment. It's always good to see you and thanks for the up up and away votes! What an amazing hub Peg;thank you so much for sharing. This one has to have that up up and away. Hello Tebo, Thanks for the kind words. I can tell you're a dog lover. These three were the first group of many over the years. Shortly after this, we had four dogs and could have had many more if homes had not been found for some of the ones who came up to our door, lost and hungry. So nice to see you here and thanks so much for the visit. You are so right. "When the house is finished, the work is only beginning." Before the inside was complete, we were already replacing spindles on the front porch due to dry rot. We don't mow the entire property anymore and have sold the tractor. About twice a year we pay a neighbor to chop it down so that in the spring we'll get a nice crop of wildflowers. So many of our trees were lost during the years of drought that is ongoing even now. But we still enjoy a lovely view of the sunset. I've seen glimpses of your lovely garden and you have worked hard to keep that up and producing. Quite nice. 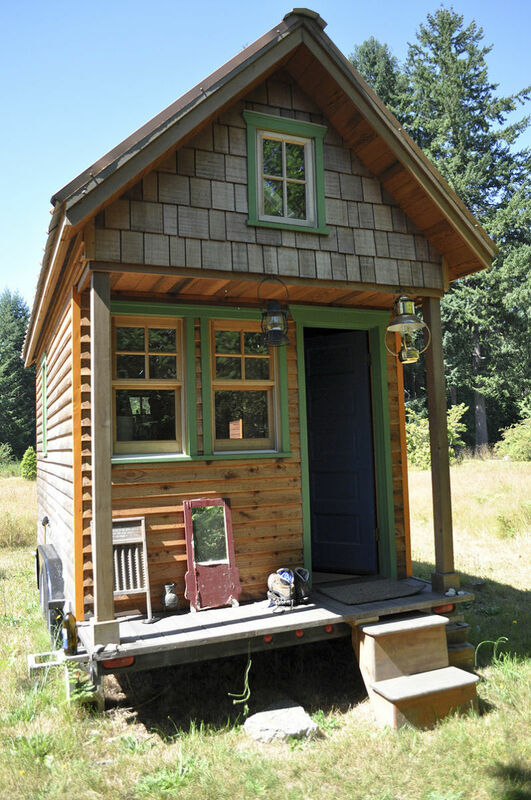 It was great reading this wonderful story of building your own home out there in the country. The place looks great and it was lovely that you were able to adopt another dog. They all look lovely. Alicia, Thanks for dropping in today. Nope, roughing it while building isn't for everyone. And it had its challenges. Looking back, there are a few things I would do differently, but overall, we're happy with the way things turned out. Especially for finding the dogs that came to us over the years. There were so many to love. Wow, you guys are ambitious! What an incredible amount of work -- yet, what a satisfying project. I lived in the country for years and know that when the house is finished, the work is only beginning. 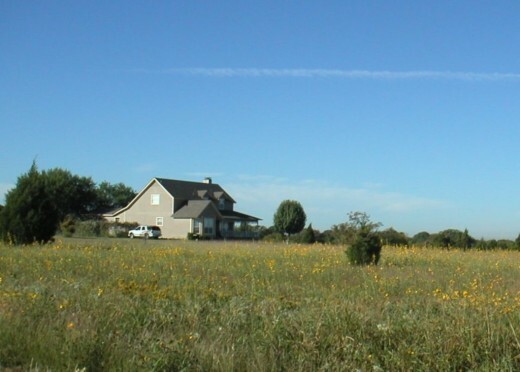 Keeping up a big stretch of land is never-ending, which is why we now live on a small lot. After years of unending work, this feels good, so you might say Jim and I made the same journey as you, but in reverse. What a huge job you faced, Peg, but how satisfying it must be to live in the house now! It's wonderful to read about your efforts, but I don't know if I could do the same thing - it sounds like such a hard task! 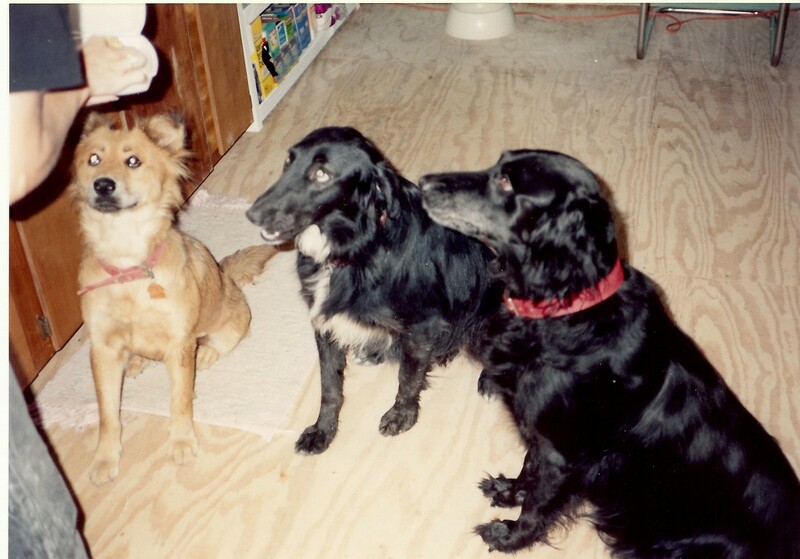 I love the photo of the three dogs together. They look like good companions. Ooooh Maria, The emu factor is a story in itself. How I wish I had owned a video camera during one "round-up" where two lady cowgirls came out to wrangle the birds down for vaccinations. That was a hoot! Unfortunately, the market for these incredible birds was thwarted and prices plummeted to below their feed costs. You know, buy high, sell low, LOL. Lesson learned. As city folk, we weren't able to think of our birds, whom we'd named and grown to love, as livestock. Thanks for the warm thoughts and kind words. This week will be monumental for us as things go forward. I'll let you know as we learn new information on the timing. Meanwhile, you take care my dear sista. So nice to see you today. Hi James, You have worked hard and I can appreciate that you don't want to be encumbered with a huge mortgage. It is a great feeling to be ahead of the banking game by doing things yourself when possible without long term debt. Some jobs, like the concrete, are best contracted out as we found out with taping and bedding. That takes a certain skill level that is earned with years of practice. This is a 'smile maker' piece, giving us a wonderful glimpse of why you are such a beautiful lady, inside and out! I LOVE the picture of you feeding those doggies. I love this whole story and thank you for sharing. Voted UP & ABI ... oh and FUNKY with the 'Loverboy'! Beautiful story, Peg. At age 55 I started a similar project in August 1999, beginning with an auction sale in my little town but the local newspaper forgot to advertise it. Consequently, for many, many, articles there was only one bidder, but still I made enough from miscellaneous household effects to pay my past due taxes, which left the money from the house, which got me going. By Thanksgiving (on 7 acres) I had a 24x60 slab and a tiny house 16x24 planted right in the middle. Now, 12 years later and additions on the north and south ends, I'm finally gettng drywall on the walls of the bathroom in the north unheated 2-story section of the house. No water or septic system yet and no siding, but then I'm paying by credit card. No mortguage, thank God. Other than the concrete there have been no contractors and the first four walls and roof were put up by friends and new neighbors, just like an old-fashioned barn-raisin'. With this project I really had to start learning things. When you mentioned drywall in your hub that's when I started remembering, so, thanks for the memories, Peg. So glad you dropped in for a visit and thanks for being the inspiration to republish this story. Over the years we tried a number of different enterprises such as trying to grow pecan trees which the drought killed and even raising emu for a while. I can barely imagine living in the suburbs again. We rarely hear an ambulance and when we do, we still run to the window to be sure it's not coming for Mom or a neighbor. 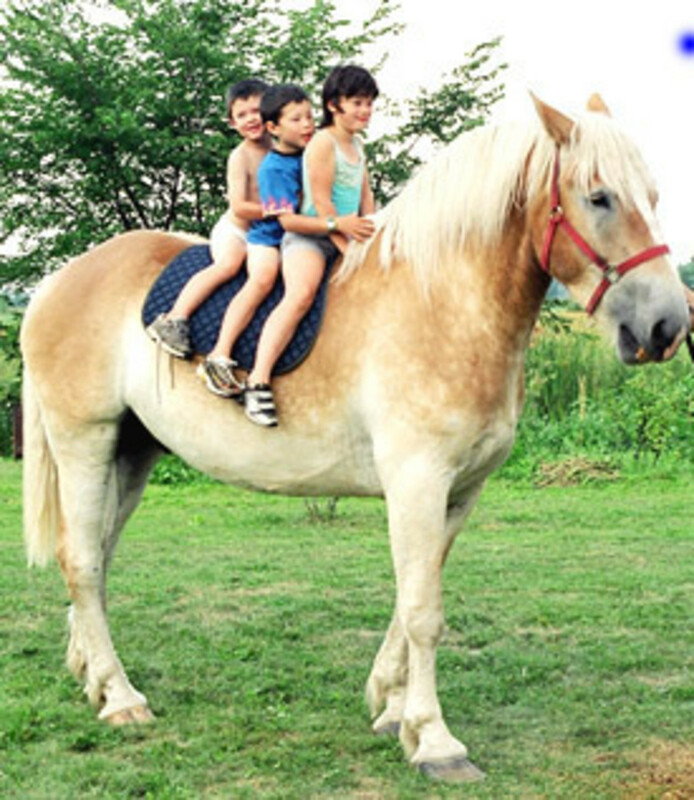 The area has grown up now, fortunately with nice houses with acreage and horses rather than a landfill. Our dirt street is paved and is full of traffic; even boom boxes have made their way out to this once quiet paradise. Mostly it's peaceful and quiet for homebodies like us. We've seen more beautiful sunrises and sunsets than ever before in our lives; truly the artwork of the Creator who allows us the privilege of living out here. Thank you, again, for your kind remarks and your comments that always lift my spirits. GmaGoldie, Thanks for your sweet comment and for stopping by today. True, determination is at the heart of it. You know that living in a construction zone is not easy but it turned out to be worth the hardship. Well there is nothing small about your dreams of green acres. What a beautiful story. You have every right to beam with pride on such a great accomplishment. Other than enjoy the view what do you do with the ten acres? What a great example for all who stop by to visit your Eden. Beautiful! And you puppies look great too. Oh, the hardship of home projects. Multiple jobs that require determination and as you say strong muscles. Great job - on the house and on the hub too! Hello Cygnet, Thanks for dropping by. I didn't know about your house and am so sorry to hear that you couldn't keep it. That is awful. Times are certainly tough these days. Your story makes me even more grateful that we put in the "sweat equity" to keep our payment down. It has saved our home during a few layoffs and rough patches. Again, so sorry. We had built our own home too, but I wish we would have not paid so much out and put in more of our own sweat equity. Maybe we wouldn't have lost it if we would have built it as we could afford to build rather than having a mortgage. Well, you live and you learn. Hello Scribenet, Thanks for being the first to comment on this story. It was so much fun going back through the pictures and reminiscing. I'm glad you stopped in to share it with me. The experience of shared labor and accomplishment was truly satisfying. When we were dog tired at the end of a weekend we would joke that we had to go back to our jobs just to get some rest! Thanks again for your visit. 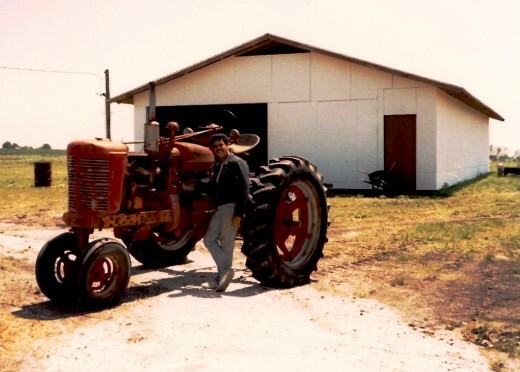 I just loved reading your story of going from the burbs to the country. Such hard work but it's worth it when you want something so bad. I love the pictures too and those dogs you took in, really touched me. Peggy, What a great story, building your own place, bit by bit! That is where true satisfaction lies! I bet no matter how hard you worked, you never resented one second. A house bulit with love! Thanks for sharing!